Clint Bowyer started Stage 1 in the 31stposition at Pocono Raceway in Long Pond, Pennsylvania, and completed it in sixth to earn five bonus points. On lap 22 Bowyer made a scheduled green-flag pit stop from the 13thspot, getting fuel and four tires for his Haas Automation VF-1 Ford Fusion. After pit stops cycled through, Bowyer was in the ninth position. He reported on lap 35 that his racecar was still loose in traffic and was getting on splitter from center off. In the closing laps of the stage, Bowyer maneuvered into the sixth position. Bowyer started 11thand finished third in Stage 2 to earn eight bonus points. Before the start of Stage 2, Bowyer came down pit road for four tires, fuel and minor adjustments. He began the second stage in the 11thposition. Bowyer relinquished the seventh spot on lap 77 to make a green-flag stop for fuel and tires. When a caution came out on lap 83, he elected to stay out, reporting the rear grip on his Haas Automation VF-1 Ford Fusion was getting better. He advanced two spots on the restart to move up to sixth and patiently worked his way inside the top-five during the next eight laps. Bowyer started 10thand finished 11th. Prior to starting the final stage, Bowyer pitted for four tires and fuel but no adjustments. He returned to pit road following a caution on lap 121. After the stop he was penalized for speeding on pit road and was forced to restart at the tail of the field. Bowyer climbed back to 15thon lap 135 and continued his charge back to the front as he had in Stage 1. He restarted 10thwith three laps remaining and then again during the final restart in overtime, ultimately finishing 11th. This was Bowyer’s 11thtop-11 finish in 26 career Pocono Raceway starts. 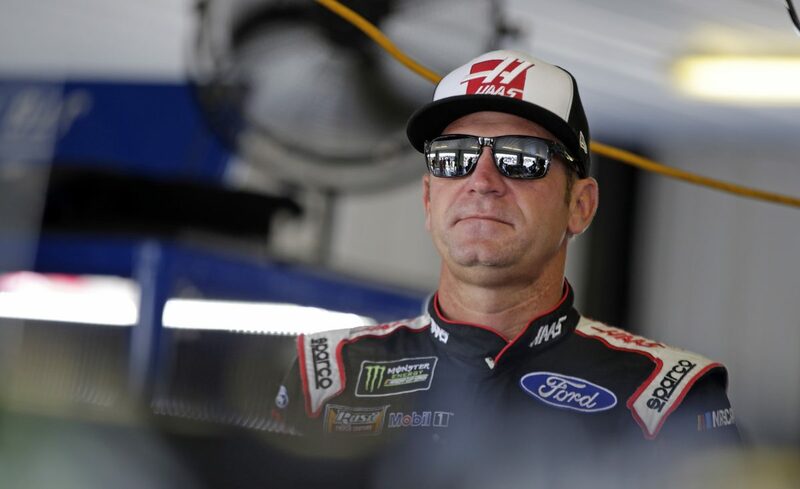 Bowyer finished sixth in Stage 1 to earn five bonus points and third in Stage 2 to earn an additional eight bonus points.